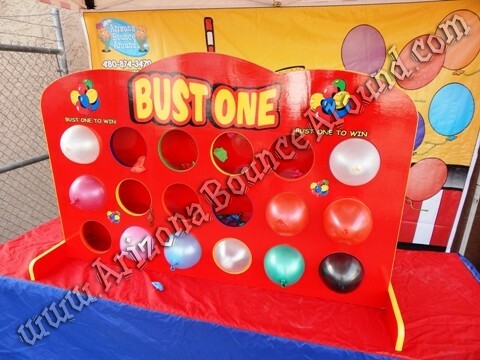 Our 18 hole Balloon Pop carnival game is a full size balloon game that you throw bean bags to pop the balloons so no darts are necessary. A pin is located behind the balloon so when the bean bag hits the balloon it pops it from behind to signal a winner. Balloons are sold separately and not included in the Balloon Pop rental price. We sell a bag of 144 -12" high quality balloons for $12.00 per bag. You can find cheaper balloons but will not be worth the hassle. 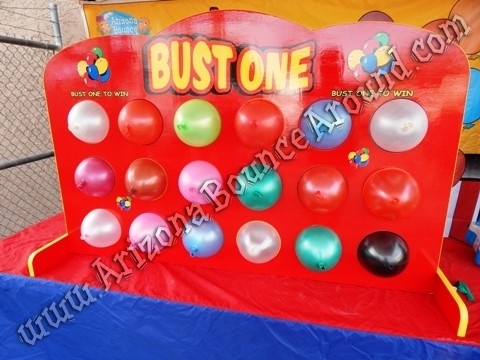 This balloon pop game comes with a duel electric inflator pump that will make blowing up the balloons very fast and easy but it does require electricity. This game is better played on a table so be sure to rent a table if you do not have one because the rental price does not include the table or skirting. We also rent carnival booths for the real carnival look. 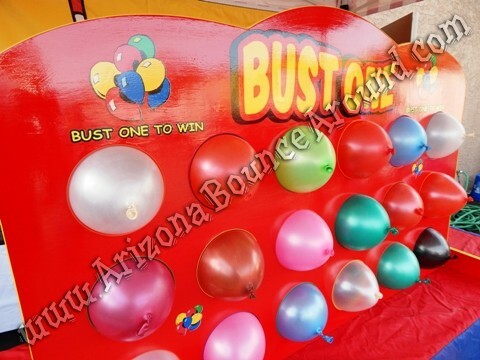 Balloon pop games have been around for years and used at carnivals and fairs around the world. This game comes complete with an electric inflator and 6 bean bags so your not stuck blowing up all the balloons but electricity is required to operate the air pump. 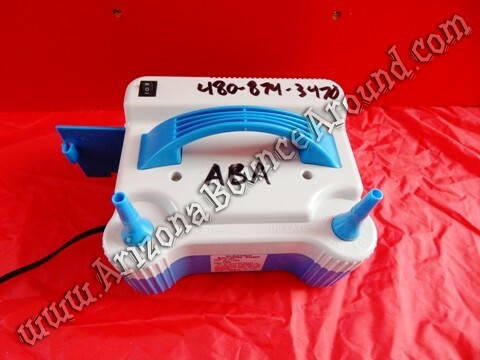 We also rent Helium tanks if power is not available. 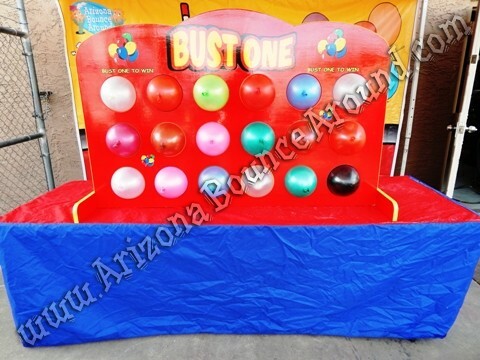 The photo above shows our balloon pop game on an 8 foot table with carnival skirt that can be added for only $19.95 Our balloon inflator pump is included with this carnival game and you or who ever works this balloon pop game will thank us for not having to blow up all those balloons using their mouth. It features 2 fill valves that come on when you press down on them making it really easy to use.